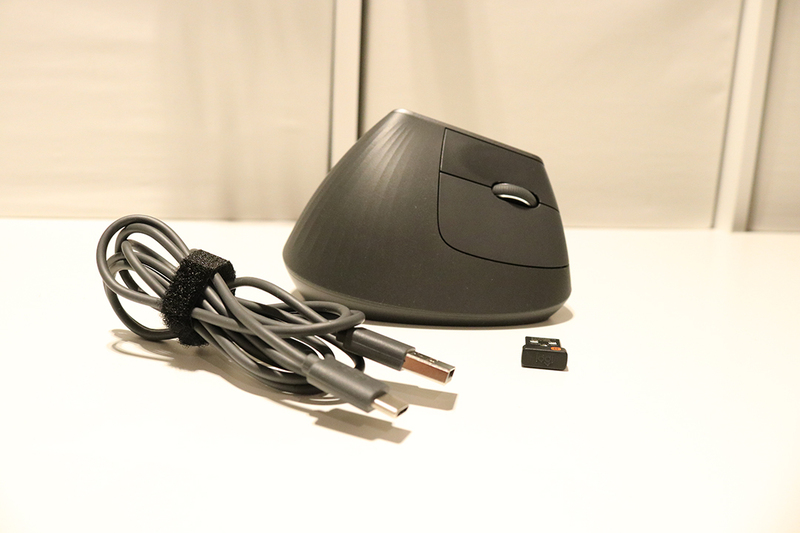 Logitech recently contacted me to review their MX Vertical mouse. I was planning to buy a mouse for my home office and I was intrigued by the concept, so of course I agreed. You can find more information on the Logitech product page for this mouse. The little USB receiver that comes with the MX Vertical is very typical for Logitech: you plug it in, it works, no questions asked. However, the device can also connect to your computer over Bluetooth. This is my preferred connection type, because you don’t need to worry about the little receiver. I have the new Macbook Pro, which has no regular USB ports. Carrying a dongle only the plug in the USB receiver would be a bit of a hassle. This Logitech device has 3 different channels it can use to connect. This allows you to connect the mouse to 3 different computers without having to worry about interference or controlling to wrong computer. It’s a mouse, what can I say? The MX Vertical connects easily, it is very comfortable, the mouse buttons are well laid out. It’s good! The only downside is that it’s quite bulky. Not exactly the device I’d be dragging along in my laptop bag. However, it is something I will keep using in my home office, where it blends in well with the other peripheral devices. The Logitech MX Vertical mouse is a very good device. At 109 EUR retail price, it’s not exactly a bargain, nor is it a ripoff. 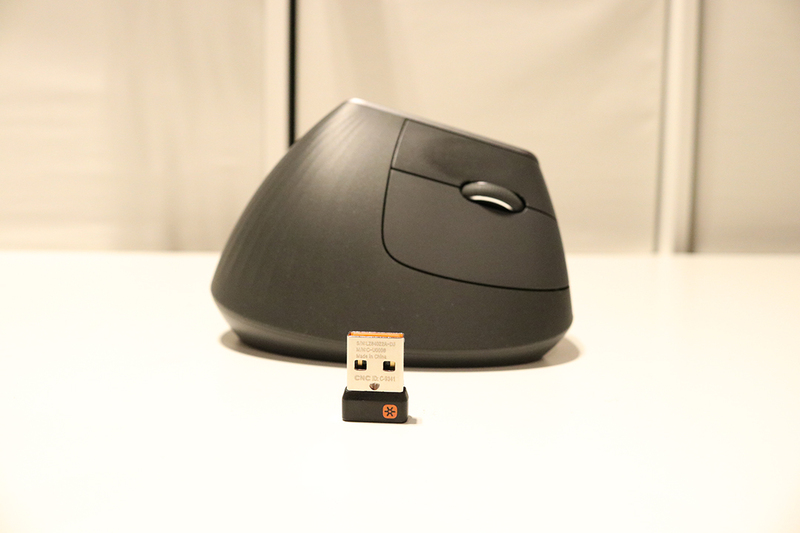 You get what you pay for: an ergonomic mouse. This product deserves a 9/10. Nothing more I can say, really. Good job, Logitech. Thanks for sending me this mouse and thanks for asking me to review it. I’ll keep using it, no doubt!